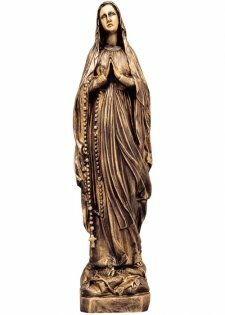 The Virgin Mary is known as the bearer of Jesus Christ, and while there are not many, if any direct scriptures from her, her legacy has been upheld in high regard for centuries. 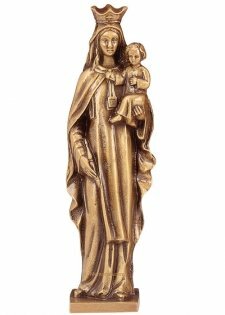 For many folks that are of a religious disposition, the concept of Mother Mary is indeed, a comfort beyond any. 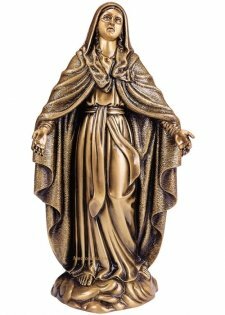 Mary has long since been praised for her role in bringing the world the son of God, but that is not to say that she is worshiped as a Goddess. As Saint Louis Marie de Montfort once said, "We never give more honor to Jesus than we when we honor his Mother, and we honor her simply and solely to honor him all the more perfectly." 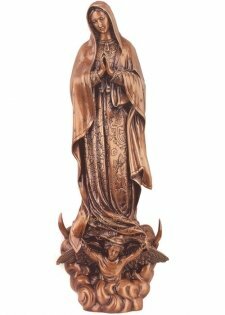 There is often controversy in regards to how Mary is praised, but be it not mistaken that while the Blessed Virgin is held in high regard, only God is worshiped. 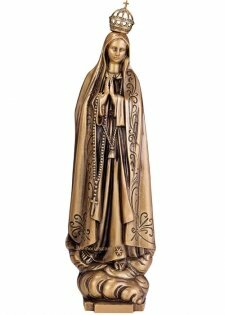 So why then has the legacy of Mary been carried across and revered so greatly? The answer is simple, and often along the same lines for many; as Saint Jose Maria Escriva stated, "Love our Lady. And she will obtain abundant grace to help you conquer in your daily struggle." 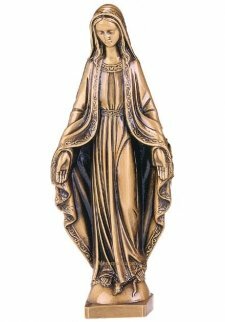 For those who have faith, especially one that incorporates the Virgin Mary, she is a strong symbol of heavenly protection and comfort. 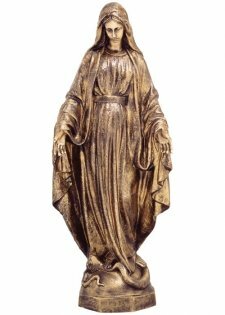 The grace that Mother Mary is known for is incomparable, but one of the ways that her likeness has been elegantly portrayed is through bronze sculpture. 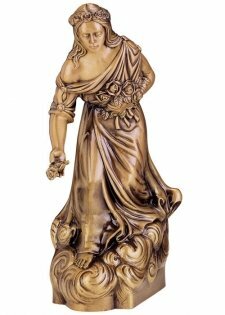 Bronze is a very popular metal that is made of a content that includes tin, lead, zinc, and most notably, copper, among other metal ores of miniscule amounts. The end result is a stunning and lustrous material, whose beauty is only outmatched by its durability. 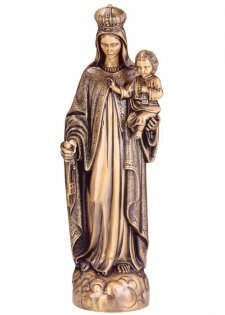 With that said, it is no wonder that the application of bronze to create a gorgeous statues of Mary have long since been sought after. 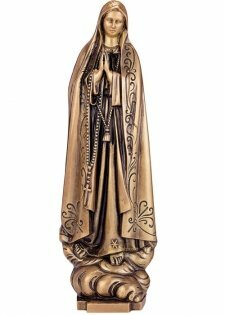 This wonderful collection of Mary bronze statues features her Grace in various different designs, ranging from the Virgin de Fatima, in which Mary stands on a cloud with hands folded in prayer, to the Lady of Grace, in which Mary stands with open arms. The latter design is especially ideal for placement in receiving areas, such as churchyards or even in front of commercial buildings. 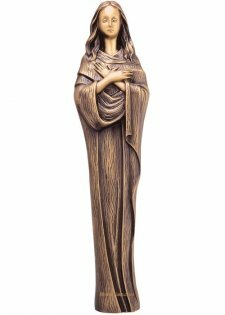 In this setting, Mary not only watches over the establishment, but welcomes visitors with open arms. 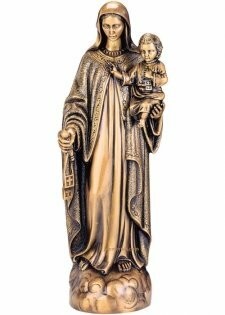 It should go without saying that placing one of these beautiful statues at the final resting place of a loved one can be very touching, as Mary then watches over and protects the beloved for all eternity. 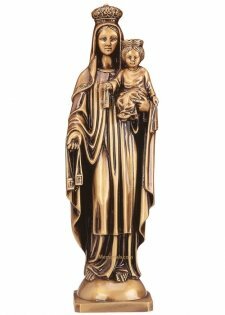 For those who are of a strong faith which recognizes Mary as the mother of Jesus, the ideals that her silent grace brings forth are truly a blessing. Mary gives us a way to have faith in a figure that, much like our own mothers, brings vast comfort. 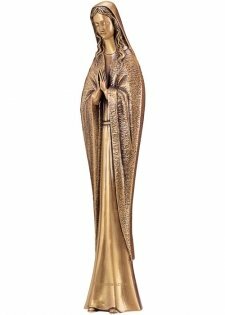 The likeness of the Virgin Mary in the form of a beautiful bronze statue can add a heartwarming accent, which will help create a harmonious atmosphere in any location.